In this series about the Ten Commandments, all quoted commandments are taken from Exodus 20:1-17. This installment will discuss the first Commandment and introduce the 2nd commandment given to Moses at Mt. Sinai. The 2nd Commandment is continued in Part Three. Watch for it! 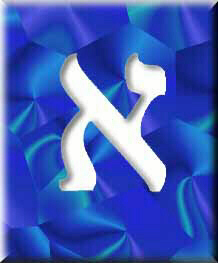 Aleph is the number ONE and it means: STRONG LEADER. The Number One is symbolic of Beginning or One. It is easy to connect the First Commandment with One God and Creator. He wants us to know WHO He is! He told Moses his Name. In some Bible translations it calls him the Great I AM, but his name is YHVH. There is much discussion within the body of believers on the NAME. We know that the Tetragrammaton (YHVH) was altered in nearly 7000 places within the scriptures. The Name (YHVH) was replaced with terms like LORD, or GOD and the like. Judaism adopted a doctrine of silence on speaking the Name. This sprang from the persecution of Jews for speaking the Name aloud. In order to preserve life, the Pharisees and religious leaders determined that it was better not to speak His Name. There is a long history of persecution whereby believers were prohibited from following Torah commandments. Believers were persecuted and killed for circumcising their male infants, refusing to eat pork or other unclean meats, for observing the Sabbath day and for speaking the Name of YHVH. Read about the origin of Hanukkah for more information on this topic. What began as a way to protect believers from death by the oppressors soon became religious doctrine. That is why the name YHVH is still not spoken by many in Judaism, and why even typing the word GOD will be hyphenated (G-d) so as not to transgress this man-made prohibition. They will also substitute ‘Adonai’ in place of YHVH when they read the Torah, or refer to Him as Ha Shem (the name). Many are coming to recognize that GOD is not the ‘name’ of our Creator. There are whole groups of believers that belong to the so-called ‘sacred name movement’ who are earnestly trying to restore the Name to its proper use. 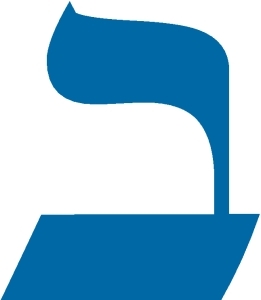 Unfortunately, many ‘doubtful disputations’ have emerged as different interpretations and studies of Hebrew have resulted in a wide array of different pronunciations of the Tetragrammaton. HOW DO WE PRONOUNCE YHVH? My response is that no one was at Mt. Sinai and has a tape recording of the Father telling Moses his name. There are very scholarly studies that seem to have found the ‘right’ answer on how to vocalize His name. Still, we may find that we are all in error! Should we, therefore, continue in the same vein as the Pharisees and adopt an attitude of silence with regard to the name? Should we divide among ourselves over this? Or should we make the best and most reverent attempt to speak His name, even if our ‘accent’ is off? I have been persuaded by the studies done by Nehemia Gordon and Keith Johnson, but they both acknowledge that there are other arguments and linguists that disagree with their conclusion. The one point I make is that it should never ever be a source of disagreement or division among believers in YHVH. Just acknowledge that YHVH is the name He called himself to Moses. I expect we will all be astonished when we learn the exact pronunciation of His real Name. He is probably astonished at us for arguing over it! But I hope He is pleased that we are trying to restore YHVH to its proper use and understanding. Even though I agree we need to have His Name included in the ‘restoration of all things,’ I believe that His Name has more to do with His character, reputation and attributes than the narrow sense of a name as we understand names. His Name is often coupled with descriptors that expand our understanding of who He is. Names like Yehovah Tsidkenu, El Elyon, Yehovah Shalom, etc., to name a few. There are lots of resources, or you can look on Wikipedia. You might find this article interesting: http://www.child-bible-lessons.com/names-of-God.html . The first commandment is clear that we are to understand WHO He IS. There is only ONE who rescued the people from Egypt, and He tells us His name is YHVH! WHAT DOES THE BOOK OF REVELATION TELL US? What’s up with all the mystery over His Name? A lot will be revealed at Yeshua’s Second Coming, it seems! Not only will we learn His Name that ‘no one had perceived except Himself’ but, believers who overcome will be given a white stone with a ‘renewed Name’ that is also a mystery! There is so much His Holy Nation is destined to learn that will only be revealed at His return! Or do you think we will figure it all out before then? We are foolish to argue and divide over things that He tells us are only known by Him! Yes! Let’s honor His Name, YHVH, and do the best we can to say it understandably and reverently! At the same time, let us not be dogmatic and stubborn over this! He will sort out all of our error when He comes to claim His Bride. Then we will receive His Name! We will probably even learn the correct calendar parameters! When that happens, I guarantee none of us will argue or claim we know better than He does on any point! Certainly not what His Name is and how to pronounce it! Rev_19:16 And on His robe and on His thigh (may be “banner” per explanatory notes) He has a name written: SOVEREIGN OF SOVEREIGNS AND MASTER OF MASTERS. Rev_22:4 And they shall see His face, and His Name shall be upon their foreheads. Yeshua said: I and my Father are One (John 10:30). And John 1:1 and 1:14 tells us that The Word was from the beginning! WHO SPOKE AT MT. SINAI? He tells us to remember who He is by remembering His Strong Leadership out of Egypt. Recall that the assembly was given the Ten Commandments at Mt. Sinai following their exodus from slavery in Egypt. He demonstrated His sovereignty and might by visiting ten plagues upon Egypt and by sparing the first born of all those who painted their doorposts with the blood of the lamb in the Passover. He demonstrated his leadership and might when he parted the Red Sea to help the Israelites escape Pharaoh. All these miracles (and others not listed here) were seen and experienced first-hand! The first commandment establishes exactly who our savior is! There is no doubt. Only the ONE who parted the Red Sea is YHVH. Any who think the stories in the Old Testament are allegories or myths need to heed this statement made by Him. He states that it was He who performed the miracles that released them from Egypt. He commands that we remember that He is the Only God. There are no other gods but YHVH. He is the one who makes men free. John 8:32 And ye shall know the truth, and the truth shall make you free. John 10:30 I and the Father are one. We might begin to understand that all of the commandments given at Mt. Sinai were from the same source that commanded Yeshua! Because He and the Father are One! He told us time and again that everything he said and did was because he was obedient to His Father! John 14:24 The one who does not love me does not keep my words. The words that you’re hearing me say are not mine, but come from the Father who sent me. How can we do less? We love Him because He first loved us! Right? SO, WHAT ARE WE TO CONCLUDE? If Yeshua and the Father are One, if we believe in Yeshua we believe also in Him who sent Yeshua. John 5:43 I have come in my Father’s name, and you do not accept me. Yet if another man comes in his own name, you will accept him. John 14:20 At that time you will know that I am in my Father, that you are in me, and that I am in you. These are profound truths to ponder. Sometimes it is difficult to look at familiar verses with new eyes. I would encourage us all to do so. Have you read Leviticus 23 which explains the Feasts of YHVH? They are not for the Jewish people only, but are commandments for all those who worship YHVH. They are holy convocations, prophetic rehearsals and shadow-pictures of the Messiah. It is conditional upon our love and obedience to his mitzvot, but he is infinitely more gracious than desiring to punish us (3rd or 4th Vs. 1000 generations). If we believe that He is a just and righteous God, then we must accept the fact that He extends His Grace to all (Grace being the ability to follow His instructions) but, it is still up to us to do our part to receive and live by that offered grace. If it be otherwise there is no reason to believe that evil people will ever be punished for their deeds and rebellion to His Law. He is either Holy and Sovereign or His judgments are unjust. If our behavior doesn’t matter, why are we here, and why did He die a tortured and humiliating death on our behalf? Before exploring the 2nd commandment, it is important to consider why a study of the familiar commandments is necessary. After all, we aren’t setting out to be sinners! Everyone understands the Big Ten! Don’t we? Isn’t this a waste of time? American Idol notwithstanding, we don’t have ‘idols’ today…do we? Heb 10:23 Let us continue to hold firmly to the hope that we confess without wavering, for the one who made the promise is faithful. 24 And let us continue to consider how to motivate one another to love and good deeds, 25 not neglecting to meet together, as is the habit of some, but encouraging one another even more as you see the day of the Lord coming nearer. 26 For if we choose to go on sinning after we have learned the full truth, there no longer remains a sacrifice for sins, 27 but only a terrifying prospect of judgment and a raging fire that will consume the enemies of God. Heb 10:28 Anyone who violates the Law of Moses dies without mercy “on the testimony of two or three witnesses.” 29 How much more severe a punishment do you think that person deserves who tramples on God’s Son, treats as common the blood of the covenant by which it was sanctified, and insults the Spirit of grace? 30 For we know the one who said, “Vengeance belongs to me; I will pay them back,” and again, “The Lord will judge his people.” 31 It is a terrifying thing to fall into the hands of the living God! If the prevailing attitude we learned growing up is that YHVH is love and we live by grace because of that…why is Paul warning us that we need to be serious about His covenant with us? Perhaps we all need to understand what it means to “trample on God’s Son,” ”treat the blood of the covenant as something common,” or “insult the Spirit of grace.” That will bring His judgment! Eph_6:13 For this reason, take up the whole armor of God so that you may be able to take a stand whenever evil comes. And when you have done everything you could, you will be able to stand firm. WHAT DOES THE BIBLE SAY ABOUT THOSE WHO KNOW HIM? 1Jn 2:3 This is how we can be sure that we have come to know him: if we continually keep his commandments. 4 The person who says, “I have come to know him,” but does not continually keep his commandments is a liar, and the truth has no place in that person. 1Jn 2:5 But whoever continually keeps his commandments is the kind of person in whom God’s love has truly been perfected. This is how we can be sure that we are in union with God: 6 The one who says that he abides in him must live the same way he himself lived. 1Jn 2:7 Dear friends, I am not writing to you a new commandment, but an old commandment that you have had from the beginning. This old commandment is the word you have heard. Is this talking about the ‘in-the-beginning’ beginning? What ‘old’ commandment? I follow the ones Yeshua taught! Love GOD; Love your neighbor! So simple! That was the beginning for me! Is that what John is talking about? I may not be perfect, but, I don’t go around killing people! I am forgiven for my sins: present, past and future! Aren’t I? 1Jn 3:4 Whosoever committeth sin transgresseth also the law: for sin is the transgression of the law. 1Jn 3:5 And ye know that he was manifested to take away our sins; and in him is no sin. 1Jn 3:6 Whosoever abideth in him sinneth not: whosoever sinneth hath not seen him, neither known him. We all tend to think ‘sin’ is something that happens to everyone else. Or at least, we weigh ourselves and think, “well, at least I’m not as bad as someone else that….” You know? We can always find someone that has worse behavior than we do. We ‘justify’ ourselves. But, what is supposed to be our measure? What instructions will He use to judge each of us? He would not be full of grace and truth if He played ‘favorites’ or judged a rich man differently than one who is poor! Isn’t that right? We all want to be ‘equal’ in His sight. At least, that is what we claim! Mar_11:25 “Whenever you stand up to pray, forgive whatever you have against anyone, so that your Father in heaven will forgive your sins. We all better have at least a working knowledge of what the Father considers sin. We all should at least have a baseline with the Big Ten. It seems like that is the least we could do to make an assessment of our own life and sin state. I hope you are still hanging in there! I encourage you to consider the importance of fully recognizing The Father we serve. If anything thus far is a stumbling block, perhaps it is time to set this aside and resolve any questions that arose. The Ten Commandments start with the Exodus account of being freed from Egypt. Why not read it? We have to understand and try to grasp the nature of our Creator. He wants us to know who He is. It’s important we learn who He is by what He has done and what He has written. Examine your understanding and doctrinal teachings and compare them with the account at Mt. Sinai. Then, when you are ready, prepare to learn about the 2nd commandment.